Lori Slayer is a fitness model and brand ambassador who prides herself on her sculpted physique, and her hard work in the gym. She’s a big inspiration for her fans on social media and other internet sites. With her awesome looks and inspirational presence, who knows what lays in store for Lori. “Success – it takes a dream, a lot of determination, a willingness to learn quickly, and the ability to fight for it all. Lori’s training sessions are long and grueling. Not because she feels she has to do it, but because she enjoys training this way. She says, there is no better feeling than coming home after a long workout, and eating her favorite post-workout meal. Usually, Lori will train for about 2 hours on most days, but if she doesn’t have enough free time, 30-60 minutes will do just as well. She’ll just make sure to incorporate more drop sets and super sets in order to increase intensity; thus compensating for a shorter workout. 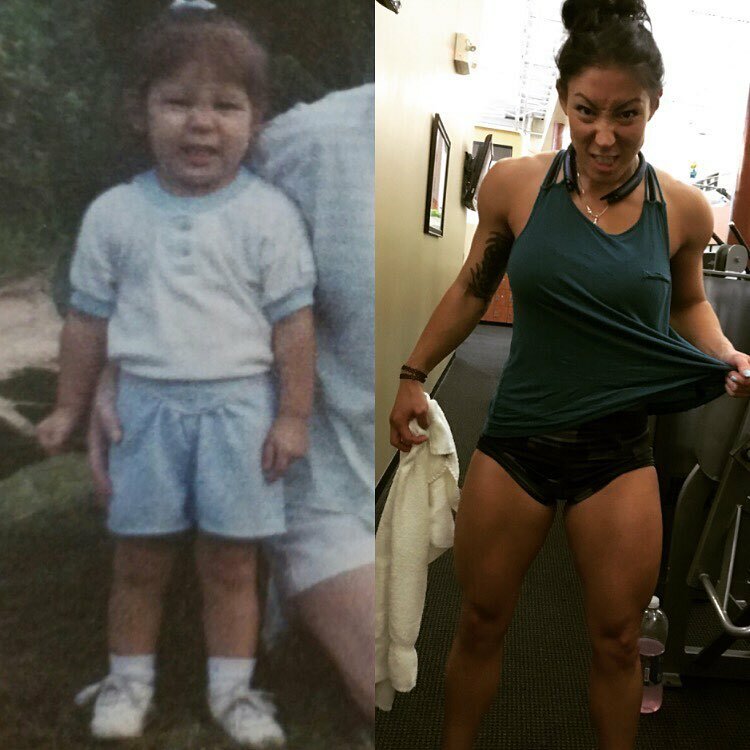 Lori on the left, when she was a child, and on the right, a fitness icon. As Lori’s workouts are long and intense, there is not much need for cardio in her daily regimen. Occasionally, she may go out outdoors to run or do a steady 30-minute walk. However, other than that, she doesn’t feel the need to do much cardio. 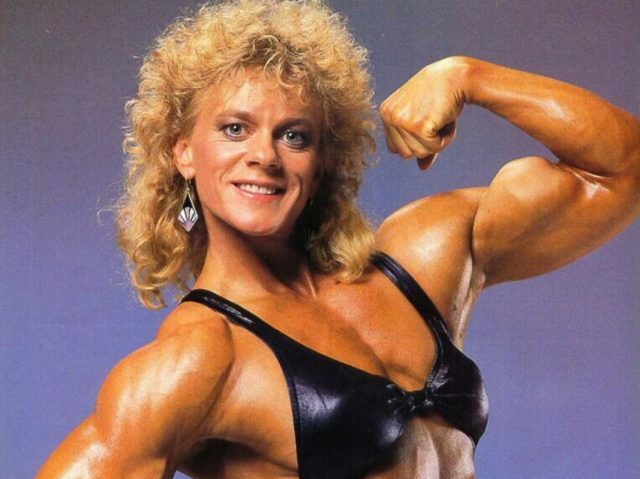 Also, Lori’s diet is quite strict, it makes things easy for her to keep her body firm and toned without doing too many cardiovascular exercises. After every workout, Lori dedicates at least 10-15 minutes of her time to stretch the muscles she’s worked out that day. One of the reasons for this is the improved flexibility she gets. And another reason is a decreased risk of injury of her muscles. When it comes to Lori’s diet, there are no secret ingredients – only dedication and planning a week ahead. She knows that in order to keep her awesome shape, she needs to eat balanced meals; containing protein, carbs, and healthy fats. Lori Slayer is an awesome fitness icon and role model for her fans. She encourages everyone to start their own journey, be it in fitness or something else. Lori says, the most important thing is, that you are happy with whatever you’re doing in life. Because, by doing something that you love, you’ll reach your goals that much faster, and more easily. “Be proud of your progress, no matter how long it takes. I promise those small results every week will add up to big results over time. Results are what motivates me to wake up early AF (not a morning person), and push my body to its limits.